The 80s were a golden age for cinema, with the likes of Spielberg and Cameron at the top of their game. But what is the best 80s movie of them all? To answer that question, we turned to those vaunted experts of cinema, the critics. Using Rotten Tomatoes, we compiled the best scores of the top films between 1980 and 1989. When a movie had the same score (which, as it turned out, was most of them in this list), we used user scores to decide each movie’s rank. Emilio Estevez and Harry Dean Stanton are at their best in this totally insane sci-fi comedy, which follows an angry young punk and a veteran repo man who end up uncovering an alien conspiracy while trying to repossess a Chevy Malibu. Rude, crude and violent, Repo Man is a true cult gem. Mel Gibson’s second outing as wasteland wanderer Max Rockatansky is perhaps the greatest chase movie ever, with Max helping a community protect their precious fuel from an evil gang of post-apocalyptic outlaws. It’s essentially one big car chase, but as last year’s Fury Road proved, no-one does car chases better than George Miller. This French tale of an opera-obsessed postman who uncovers police corruption and tries to protect his operatic idol from Taiwanese blackmailers was a global hit, despite its fairly obscure plot. Director Jean-Jacques Beineix’s unique cinematography received a lot of praise at the time too. How do you follow up one of the most influential horror movies of all time? Easy: you make pretty much the same movie, but make it 100x funnier and give the main character a chainsaw for a hand. This is easily one of the best horror movies of all time. Terry Gilliam’s dystopian sci-fi epic had an extremely troubled development, with the director going as far as taking out an advert in Hollywood trade paper Variety to encourage Universal to release his initial version rather than the feel good version they insisted on. Gilliam’s original provides a much more fitting ending to Sam Lowry’s adventures in an Orwellian society ruled by an incompetent regime reliant on useless technology. Although the title sounds like a dodgy American soap, Wim Wenders’ romantic fantasy is one of the best romantic movies of the 80s. It sees Berlin inhabited by invisible angels who comfort people in distress. One of the angels falls in love with a human trapeze artist and chooses to give up his immortal status to become human and experience real love. It was later remade as City of Angels, but this is better without a doubt. Like Sam Raimi with Evil Dead 2, James Cameron faced the tough task of making a sequel to a hugely influential horror film. Unlike Raimi, he didn’t have the benefit of making the first film. Luckily, everything Cameron touched in the 80s turned into pure gold. Ramping up the number of aliens and pitting them against a band of marines, Cameron created the perfect action movie. It’s not all explosions and acid blood, though, with Ripley’s desperate attempts to protect a young girl giving the film its emotional core. Another German production, Das Boot is a wartime epic following the crew of a fictional submarine during World War 2. Unlike most WWII movies, Das Boot shows the conflict through the eyes of regular German soldiers, exploring their ideological conflicts as they navigate naval battles. War movies don’t get much better! Taking the top spot with a perfect score, James Cameron’s sci-fi thriller is still just as terrifying today as it was back in 1984. 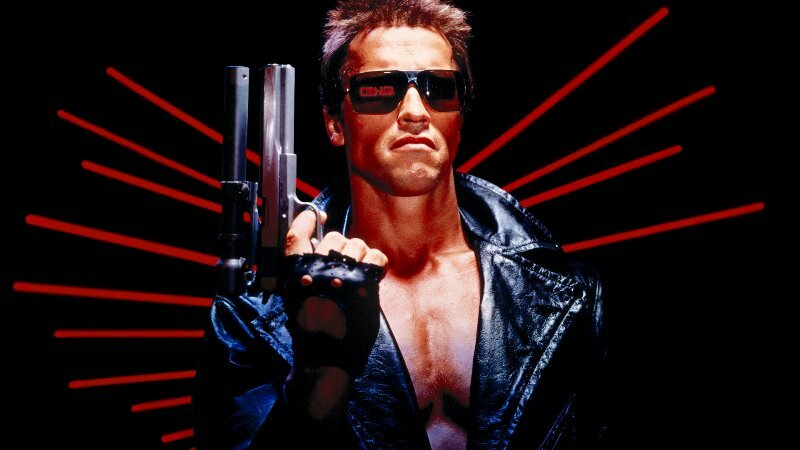 Arnie’s emotionless killing machine is one of cinema’s best baddies, and the complex time travelling plot which sees future soldier Kyle Reese return to protect the mother of the leader of the human resistance from assassination is gripping and – unlike some of the later movies – complex without being too confusing! You can find all of the movies in this post on the musicMagpie Store, with many of them in our 2 for £5, 2 for £3 and Buy One, Get One FREE promotions too! Click below to buy DVDs.